Did you grow up in a home with siblings? If so you were probably bullied and didn’t even realize it. Your brother or sister may have picked on your bedtime, the tooth you lost, the clothes you wore or any other number of little things in your life. You probably didn’t think of it as being bullied, but in a way it was. They made fun of you and you were upset. Hopefully you made your parents aware and the stepped in to mediate the situation, educate your brother, sister or both who was bullying you and that ended it. What do you think of when you hear the word bully? Your mind probably jumps right to a child on a school playground being teased, but the millennial generation and their children will also face cyber-bullying. It’s not just about the kids who steal lunch money or make fun of your clothes in school anymore. Victims of cyber-bullying can potentially be tormented by hundreds or even thousands of people they don’t even know who are hiding behind their keyboard. Many who face cyber-bullying are overwhelmed by the negativity and have chosen to take their own life as a way to escape. Don’t let your child suffer in silence. Watch for signs like changes in behavior, friends, clothing and other social interactions. You may want to consider contacting a professional for guidance. If you suspect your child is being bullied you need to ask questions so you know what is making them a target. Is it verbal or physical? The child being bullied needs to understand it’s ok to be unique and it’s not their fault. I wouldn’t call them different or special. Those words can be stigmas that they associate with in the wrong way. A counselor at school might be the best person to help you understand what’s going on. They will have firsthand knowledge of the children involved. It’s best to not engage with a bully or try to respond, this only encourages a response. If you are on social media start by blocking them or you may need to delete your account. We need to put E.T.A. (Education, Training, Awareness) into action when we experience bullying first hand, suspect it, or see it happening. It’s important to talk to all parties involved. Kids can be mean but they don’t always understand the ramifications of what they are doing. They might just think these are “teasing” someone or “having fun”. You need to explain to them the consequences of repeated bullying. Have them put themselves in the other person’s shoes. 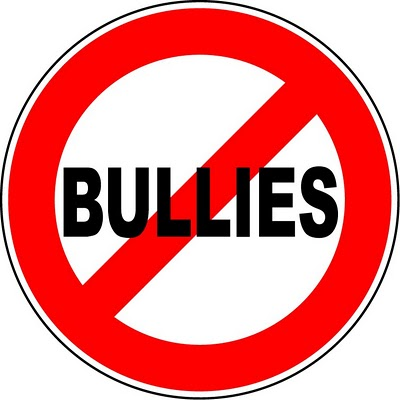 Being a bully may limit the type & number of friends they have, social invitations they receive and of course they will almost always be the person that is suspected of “starting an altercation” even if they had nothing to do with it. Would you know if your child was a bully? There are times that even a parent can be a bully to other parents, grownups or another child that may rival to their own. When you are older being a bully can take on several other forms. It can turn into mental, verbal or even sexual abuse. These situations can escalate to workplace violence, and domestic abuse. If an adult is experiencing a situation at work they should address it with a supervisor or human resources. You may not always be comfortable discussing it with a spouse or family member but you need to talk with someone. Don’t assume what’s happening is your fault. Remember awareness is one of the key steps to overcoming bullying. If something is happening outside of work you may need to involve the police or legal professionals for help. You don’t need to be a victim! Tracy Vega, mom, wife, visionary, community leader and entrepreneur is the co-founder of Simple Self Defense for Women® an award winning company that promotes the personal safety of women and children with a focus on how to to prevent, avoid and ESCAPE a potential attack, threat or abduction. NBC affiliate WESH News calls her a guru of women’s self defense.